DECEMBER 3rd – 8th! Why not try Piyo, Pound or BOTH?! Not sure what Piyo or Pound is? No problem — READ HERE! 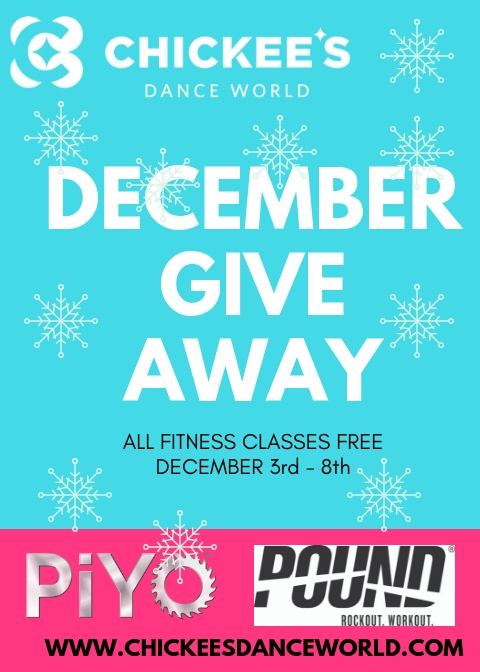 Sign up here: TRY A PIYO OR POUND CLASS FOR FREE!